Our clients, residents of Manhattan’s Upper East Side, chose JamesThomas to help them design their perfect get-away-from-it-all. This airy, breezy bedroom is the perfect example of high/low design. 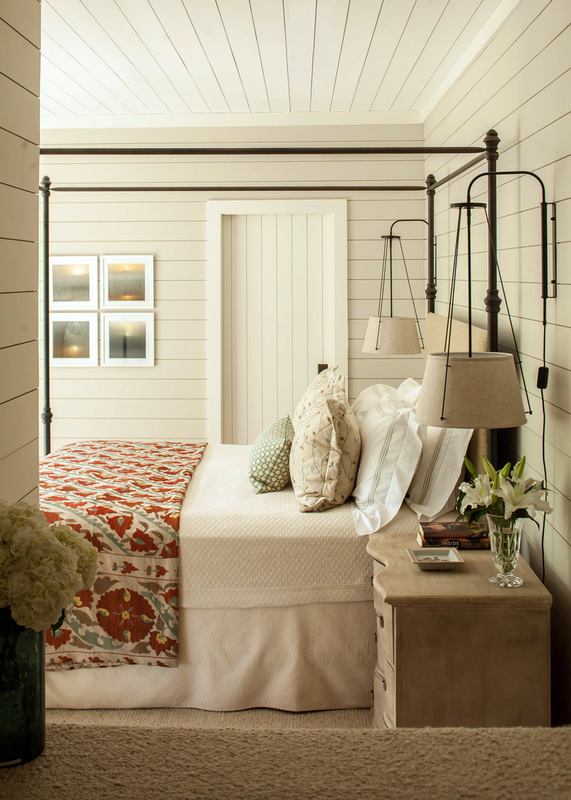 Stunning Urban Electric Company sconces cozy up to a canopy bed from Pottery Barn. Shiplapped walls and ceiling gives the room texture and depth. 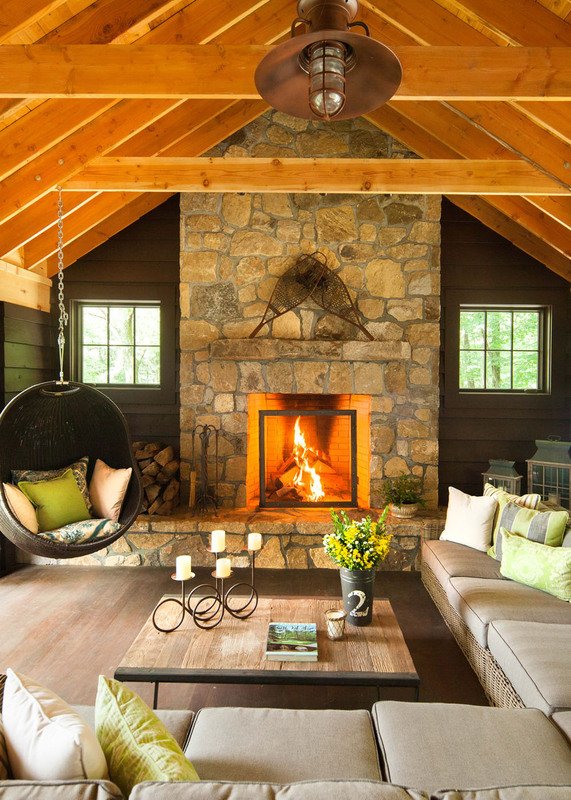 This stunning screened-in porch welcomes groups of all sizes. This semi-indoor space acts as an extension of the outdoors. Extra-large rattan sectional sofa is durable and maximizes seating. A Restoration Hardware sectional couch. A hanging chair was requested by the daughter; a place to chill-out while enjoying the views. At JamesThomas, we specialize in designing your perfect welcome home. Let's get started.